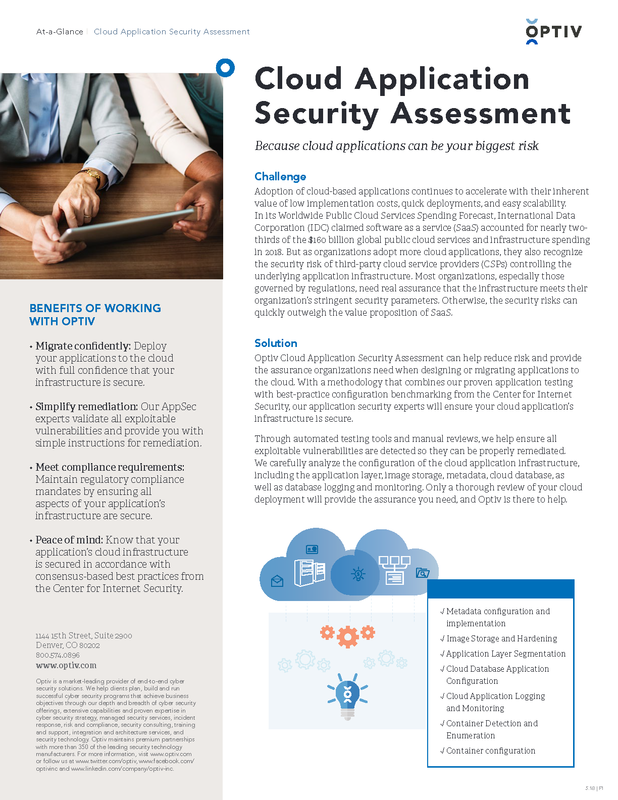 Optiv Cloud Application Security Assessment reduces security risks around your application’s cloud implementation. With a thorough analysis of the cloud application infrastructure, configuration settings, and access policies, our application security experts identify any high-risk vulnerabilities that can lead to an attack and possible data breach. Working closely with your application stakeholders and providing detailed remediation guidance, we can help your organization ensure your growing cloud application environment remains secure against new and existing threats.